Perinaldo sunny and airy Apartment with terrace overlooking the sea. A short distance from the Astronomical Observatory, near the bus stop. 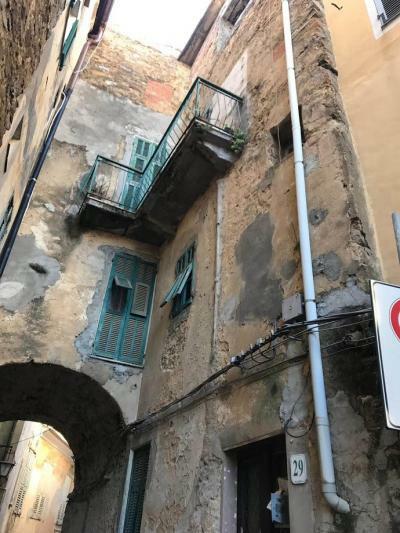 Second floor on two levels: entry into the kitchen, large bathroom with window, 2 bedrooms, a cobbled Street on one side of the country, sea side spiral staircase leading into the attic with terrace overlooking the sea. Storage room in the attic. Included in selling wine cellar and small garden facing the sunny South, separated from the apartment but in 2 minutes away. Total Square Meters: 70 sq. m.